The Nov. 8 launch date for Mario & Sonic at the Sochi 2014 Olympic Winter Games that was recently listed in a Wii U notification was an error. A confirmed launch date will be announced in the future. We apologize for any confusion. Hmm, how disappointing. 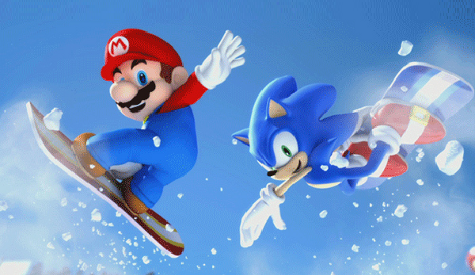 Fortunately, given that the Sochi 2014 Winter Olympics are being held early February, logic suggests that we should see Mario & Sonic at The Sochi 2014 Winter Olympic Games released by at least then. In case you missed it, you should watch the trailer. What’s your favourite Winter Olympics event? For me, its got to be speed skating. Love it.